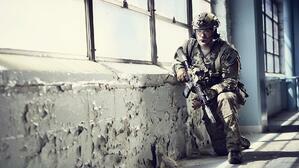 Revision Military's mission is to deliver protective equipment that saves lives. This high-stakes objective makes precision and accuracy paramount; there is no margin for error. With a multi-site operation like Revision’s, quality control becomes a much more complex undertaking. The acquisition of additional sites, such as an Ottawa-based company in 2014, and continued growth into new industries and markets spaces has compounded the company’s considerations, necessitating new layers of oversight and adding a variety of new variables to the equation. To match its ambitions, Revision needed to integrate more sophisticated oversight frameworks to scale successfully. 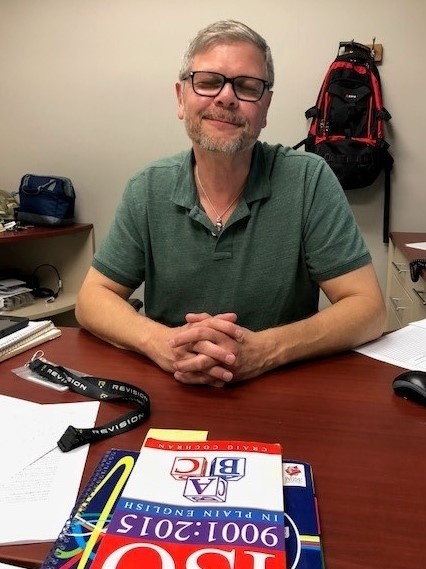 For Shane Williams, Revision’s Director of Quality, a man whose career has been defined by delivering superior quality products and services, no detail is too small. When Shane started at Revision, it was apparent that the quality management and ISO compliance processes needed to be reassessed. Given Revision’s growth rate and plans for future expansion, old models needed to be updated and new processes instituted to reduce risk and protect the company from setbacks or costly errors. With four locations across the U.S. and Canada, Shane found that sites were siloed in their document handling. While all locations were held to the same ISO standards, each were using different methods of storing, versioning, and approving; some locations were using Excel while others used Word. This inconsistency made it difficult for employees to quickly and efficiently locate documents, requiring knowledge of an overly-complicated filing system. It was taking additional time to navigate as well as to clear various barriers of entry, such as permission levels and VPN connectivity. Even after locating the desired document, the change management and approval process followed, and this too had its challenges and outmoded processes. While Revision was in the process of making important large-scale changes, these seemingly small, daily tasks were causing headaches and ultimately impacting productivity. They were adding up and impeding the company on its way to greater pursuits. The problem may have been relatively easy to pinpoint, but the solution was harder to come by. Revision first attempted some internal updates, but it needed more lasting, foundational solutions. Revision looked into purchasing software but discovered that the expense, limited support, and rigid structure of these platforms would not suffice. What Revision needed was a customizable, sufficiently supported, and cost-effective solution. What Revision needed was SetPoint. Fast forward a few short weeks and Revision is up and running with SetPoint. Employees are already benefiting from the simplicity SetPoint has brought to their day-to-day work. Shane estimates that an employee saves 30-60 minutes locating and editing a single document. For the user, it’s simple: documents are tagged, stored, and easily searchable. Additionally, documents are now more securely controlled as employee permission rights reside in SetPoint, making the process automatic. An additional feature that has proved helpful is the ability to search by employee name. Employees are able to pull up lists that tell who has worked on particular documents and when, boosting searchability and expediting the review process. Shane also shared that the adoption of SetPoint coincidentally coincided with audit season and that SetPoint allowed him to feel confident in delivering requested material to auditors—who gave the new system a rave review! With Revision excitedly anticipating the opening of a new facility, the SetPoint systems now in place will prove invaluable as the company continues to grow and thrive!